One of the great decisions we will make as parents in the first years of our children's lives and that can make a big difference in their future is deciding where they will spend their academic life. Before the child is born, the choice of the school he will attend is a topic of concern for many families. The most important thing is to consider what values ​​interest you as a mother . Thus, you will not be afraid of making a mistake. There are families for whom discipline and success are above whether the student feels good or not in a school. For others, on the other hand, humane treatment is paramount. Do not wait until the child has five years to decide which school you want to take him to. Even if you are not going to do the application, at least go thinking about the type of school. There are public/gvt, private schools, free schools and there are also people who decide to educate at home by private hired teacher but it is not easy of middle or lower income family. Not everyone can consider the monthly payment of the school. Going to a public school is in many cases a necessity. In other cases, it may be the best educational option, if you live in a good school district. Choosing a private school because socially is better seen than a public one is a mistake we should not make. A philosophy of unification is essential. Our children live in a multicultural country and this is what their school should be like. Although the websites of the schools transmit that they are great places, the best thing is to ask other parents. When choosing an educational center, ask yourself if there is diversity in terms of race, ethnicity, religion, values and any other factor that is important to you. We have to find out what is the educational style of the school. Go to the open days that serve to show the school to parents. Ask all the questions you have, express your doubts and ask them to inform you about the methods they use and at what level they are with respect to other schools in your city. Ask if there are support classes. Psychologists and teachers in continuous training are an important educational pillar. The number of students per class is very important so that children can be attended to normally. An overly full class is a source of stress for children and teachers. The facilities that the school has are another factor to take into account: number of buildings, age of the same and good equipment. Keep in mind that the human treatment of teachers towards students is equal or more important than the educational system. When your children grow up, their level of academic enthusiasm could be directly related to the personal treatment of the teachers who teach each subject. Inquire at the school and try to show that the teaching staff is trained to transmit enthusiasm and desire to learn. Distances in the United States can be very large and we are used to it. But perhaps we should consider if the best thing for our children is to spend each day around two hours in the car in addition to school hours and thus complete a day of "work" as if they were adults. A school near our home makes it easier for children to relate to each other outside of it and above all it will make them less tired and have more time to play or take a special class that they may have chosen. Working from home has in recent years become a real possibility for many workers. Many factors have influenced the increase of workers at home: sometimes for reasons of saving time in traffic, other times for lack of space in the office, and other times by own choice. The space you must create to work at home. - First of all, you should have a space at home reserved for work and even for the job search. A separate room with a desk would be ideal. If the lack of space does not allow you to have an office in a dedicated room, you should at least assign a sacred space inside a room where nobody bothers you for long periods of time. Access to computer, internet, and telephone are the essential tools for this place. Search by internet: Luckily, there are already several websites that offer jobs to stay at home. As an initial step, I would recommend you visit the dedicated About.com page (http://jobsearch.about.com/od/workfromhome/) where you can find all the necessary information about the job search from home. Separate the fraud of the real offers: With the increase in popularity of work from home, a new wave of online fraud has arrived. Winning a lot of money with little effort and without moving from home have become the ideal hook for fraudulent websites offering jobs from home. When using job vacancies such as Monster or Career Guide , use keywords such as freelance, home based, work from home, or work at home to narrow down the list of results. Work without distractions and without getting up during periods of 45 minutes to an hour. Works that can be done without leaving your home: Luckily, if your dream is to be able to work from the comfort of your home, there are many jobs that do not require daily visits to the office. Jobs as analysts, graphic designers, accountants, writers, and many others have the flexibility to be able to play them from anywhere. If, on the contrary, your work requires visits from clients or continuous meetings with colleagues, maybe you can only do part of the work at home. The future, technology, and the little need to leave home: Many are those who predict that the near future most jobs can be played at home. Technological advances in communication and robotics fields even make it possible for doctors to perform surgeries from their own home. Despite what the future holds for us, it is obvious that technology allows us to perform more and more tasks without having to access the tools that only existed in the buildings of companies. For example, with advances in mobile telephony, today you can answer all your emails from your phone, make video conferences, use apps for a multitude of tasks, and even read this article. MSBI stands for Microsoft Business Intelligence MSBI (Microsoft Business Intelligence) is one of the ETL tool related to the database side. MSBI is composed of tools which helps in providing best solutions for Business Intelligence and Data Mining Queries. SSIS– This tool is used for the integration like duping the data from one database to another like from Oracle to SQL Server or from Excel to SQL Server etc. This tool is also used for bulk transactions in the database like inserting lac's of records at once. We can create the integration services modules which will do the job foe us. SSAS– This tool is used to analyse the performance of the SQL server in terms of load balancing, heavy data, transaction etc. So it is more or less related to administration of the SQL Server using this tool. This is very powerful tool and through this we can analyse the data inserting in to the database like how many transactions happens in a second etc. SSRS– This tool is related to the generation of report. This is very efficient tool as it is platform independent. We can generate the report using this tool and can use in any type of applications. Now a days this is very popular in the market. Q. What is SSIS variable? Variables store values that a SQL Server Integration Services package and its containers, tasks, and event handlers can use at run time. Global variables:- A global variable is available to all tasks across the entire job. Task level variables: - Variables created in tasks are only available within that task. Q. What is SSIS Control flow? 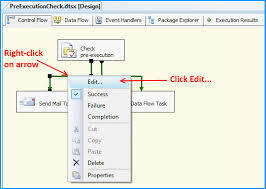 SSIS control flow allows you to program graphically how the tasks will run by using the logical connectors between tasks. Q. What is precedence constraint? In SSIS, tasks are linked by precedence constraints. A task will only execute if the condition that is set by the precedence constraint preceding the task is met. The control flow in a SQL Server Integration Services (SSIS) package defines the workflow for that package. Not only does the control flow determine the order in which executable will run, the control flow also determines under what conditions they’re executed. Success: The precedence executable must run successfully for the constrained executable to run. This is the default value. The precedence constraint is set to green when the Success option is selected. Failure: The precedence executable must fail for the constrained executable to run. The precedence constraint is set to red when the Failure option is selected. Completion: The constrained executable will run after the precedence executable runs, whether the precedence executable runs successfully or whether it fails. The precedence constraint is set to blue when the Completion option is selected. 1. Sequence Container: - Sequence container defines the control flow that is subset of package control flow. Sequence containers group the package into multiple separate control flows, each containing one or more tasks and containers that run within the overall package control flow. · Disable the property of sequence container instead of on the individual tasks. · Change the property of sequence container instead of on the individual tasks. · Providing scope for variables that a group of related tasks and containers use. 2. For Loop container: - It’s define the repeated control flow in a package. It’s working like loop in programming languages. In each repeated loop for each loop evaluate the expression until the expression is false. Example, you need to update records 5 times, you can place the task that updates the records inside this for loop container and specifies 5 as the end of the loops by using the for loop container. InitExpression:- Optionally, provide an expression that initializes values used by the loop. EvalExpression:- Provide an expression to evaluate whether the loop should stop or continue. AssignExpression:- Optionally, provide an expression that changes a condition each time that the loop repeats. Name:- Provide a unique name for the For Loop container. This name is used as the label in the task icon. Description:- Provide a description of the For Loop container. It’s defines a repeating control flow in a package. Foreach loop implementation is similar as programming languages. In a package, looping is enabled by using a Foreach enumerator. The Foreach Loop container repeats the control flow for each member of a specified enumerator. Are you one of those children who always want to work at McDonald's? Are you looking for work and you see that McDonald's can be your great opportunity? Do you have an interview with them and do not know where to start? Today is your lucky day. I want to confess some of the best kept secrets to overcome your next interview at McDonald's. Before going to the interview, learn well about the company, because as it is very recognized and is very integrated into our lives it is easy for everyone to say the same things about it, so take a step further and take advantage of this advantage. Find something that you can say that is positive, original, different ... That makes you stand out! HOW SHOULD I PRESENT MYSELF IN THE INTERVIEW? Well dressed and with good presence: Do not go formal , but with a good image. It is possible to end up working facing the direct public (cashier, store assistant) or indirectly (kitchen, manager). Come early: If you arrive late, they will think that you have no interest and that you are a disorganized person, but if you arrive very soon, you will seem impatient, restless, anxious ... Ideally, you should arrive between 10 and 5 minutes early. Pay attention to the smells! Be well groomed, do not get into a race because you are late before entering. You will throw everything away! Avoid smoking and drinking coffee before entering. WHAT CAN YOU ASK ME? HOW DO I RESPOND? Analyze how they work at Mcdonald's: In front of the public, as a team, under pressure, in turns ... If you want to work here, be able to work according to your philosophy and work rate . Highlight what skills you have that fit your operation. # 1 WHY ARE YOU INTERESTED IN WORKING HERE? I want to work at Mcdonald's because it is an international company that offers me the possibility to train and be part of a multidisciplinary team. In addition, it gives me security the fact of being a great company, not only at work level, but also in quality and management of all processes. # 2 DO YOU LIKE TO WORK FACING THE PUBLIC? Yes, working face to face with the public helps make the experience more rewarding, working in contact with other people offers extra human value. # 3 HOW WOULD YOU DEFINE YOURSELF? It is important that you emphasize your ability to work as a team, your energy, flexibility, positive attitude ... and that you face without fear the changing situations. # 4 HOW DO YOU WORK AS A TEAM? Show yourself as a person that cooperates, that helps others, that you never stop ... At Mcdonald's they value that you move and that, if you have nothing to do, help others to get the job done, even if you do not have to see with your functions. He talks about how enriching it is to work as a team, that each contribution is important to achieve common goals, that you listen to others, that you know how to negotiate and reach agreements. # 5 HOW WOULD YOU HANDLE A SITUATION WHERE YOU SEE THAT THE FOOD IS SPOILED WHILE YOU ARE QUITE BUSY? What are you busy? You should analyse the importance of what you are doing at this moment and if it is not more important, take care of the food in poor condition yourself, do you have someone nearby who can take care of it? Tell him to take charge. If you can tell a manager better than better, but if not, to a partner. In any case, you will have to tell the person in charge, even if it is later. # 6 DO YOU SKIP THE RULES? No, unless it is absolutely essential to solve a problem. # 7 WHY SHOULD WE HIRE SOMEONE WITH EXPERIENCE IN SERVING FOOD IF THEY ARE GOING TO BE BEHIND A COUNTER? Serving food has given me extensive experience facing the public and solving problems with customers on a daily basis. In addition, this experience will make me more willing to take care of the store when necessary. # 8 IF YOU COULD CHANGE SOMETHING ABOUT YOURSELF, WHAT WOULD IT BE AND WHY? The questions of the weaknesses formulated in another way ... "I am too demanding and that makes me add more pressure than necessary ..."
# 9 IF A PARTNER GETS SICK AND YOU HAVE TO TAKE HIS PLACE, WHICH IS NOT USUALLY YOURS, HOW WOULD YOU LIKE IT? I would not have any problem. At first I may not have as much ease as in my own position, but I learn quickly and then I would perform them as if they were my own functions. # 10 WHAT WOULD YOU DO TO ADDRESS A CUSTOMER'S COMPLAINT? First: Listen to what the complaint is! Second Can I solve it? I'll do it! Third: Can not I solve it? I bring it to the attention of my superiors. And above all, stay calm and sure of yourself. luck! Prepare for the questions that recruiters will ask you and give an effective response. From the interview we expect a professional conversation, focused mainly on our skills and achievements, however, sometimes the recruiter will look for 'something else' about us with questions that may not be directly related to employment. For many candidates some interview questions do not have a logical reason, they can even be absurd or uncomfortable, so we must be prepared and anticipate to respond with intelligence. 1. Open: They are general questions that seek to flow the dialogue between the interviewer and the candidate, allow the person a broad response. With them your fluency, communication skills and coherence will be evaluated. Example: Tell me about yourself, why were you interested in the vacancy? Why did you decide to study (insert career)? What do you like most about your work? Tip: It is possible to prepare in advance to answer these types of questions, since they are very common. It is important to find a balance in our speech to express ourselves with ease without giving very long answers. Concentrate on the most meaningful and relevant information. 2. Fitness: Its objective is to evaluate if the candidate has the necessary knowledge to perform the job. Depending on the vacancy, the recruiter will inquire about the candidate's experience and the competencies he or she has. Example: What were the main functions you performed in your previous job? , Tell me what knowledge and skills prepare you for the position, I see that you have advanced knowledge in (insert skill / knowledge) in what kind of activities have you applied the last 3 years? Tip: Probably a lot of this information is contained in your Curriculum, however the recruiter will want to have a bigger picture. Using specific examples can help you clearly show why you meet the expectations of the position. 3. Behavior: When making a contract, it is not only important that the candidate can do the job. The behavioral questions seek to find out what the person's behavioral profile is, to assess whether they can successfully integrate into the work team. Example: How do you handle stress ?, Give me an example in your work life in which you have shown integrity, Tell me about a time when you made a mistake in your work, how did you solve it? Tip: Anticipate this type of questions by analyzing how your behavior at work is, what are your strengths and what are your areas of opportunity. Prepare yourself with clear examples of scenarios typical of the work environment such as stress, pressure, decision making, labor conflicts, etc. 4. Situational: Once the interviewer analyzes your behavior in the past you can resort to situational questions to get an idea of ​​what your future behaviors will be. Example: How do you respond to pressure? Imagine that you have X problem at work, how would you solve it? What would you do if your boss delivers a report with erroneous figures in a work meeting? Tip: For situational questions there is not a single correct answer, it will reveal our ability to solve problems and adapt to different situations. A good practice is to think about a similar experience that you have lived and talk about how you used your skills to face it. 5. Capciosas: It may seem absurd or incoherent questions, but depending on the recruiter, the company and the position, you may have to answer questions that seem to leave the work context. Its purpose is to move the candidate a little away from standard questions and subject him to a mental challenge that reveals a little more about his personality. Example: If you could be an animal, what would you be? What color is there more objects in your bedroom? What would you prefer? Being the number 1 employee but hated by your colleagues or number 15 but appreciated by all? Tip: With these questions the recruiter expects an honest and spontaneous answer, remember that there are no correct answers, since they are linked to your personality. It is common for candidates to face misplaced questions, which can be discriminatory and offensive. For example, are you pregnant? What contraceptive method do you use? What is your sexual orientation? Why are not you married? Are you religious / religious? Microsoft has recently released the first public preview of a new .NET web framework, Blazor. This new .NET web framework uses C#/Razor and HTML using the browser with WebAssembly. Blazor enables the full stack web development with the productivity of .NET but, as this is an alpha version it should not be used in production. What makes you happy about working on a Friday evening? Weekends is the only reasons which makes person happy about working on a Friday evening. It is totally to discuss it because taking break from work is your right. So honestly you can discuss your points and views with your interviewer. Many of us believe that machine learning is a very futuristic thing. However, it is increasingly present in our lives, whether when a Google computer plays an incredible game of Go, or when Gmail generates automatic responses. While all this sounds exciting, many of us continue to wonder what machine learning exactly consists of, why it is so important or why identifying a dog in a photo is not as simple as it seems. In order to analyze all this, we have met with Maya Gupta, a researcher at Google in this field. Let's start with the simplest: what exactly is machine learning? It is the process of machine learning that takes a set of examples, discovers the patterns behind them and uses them to make predictions about new examples. Think, for example, about movie recommendations. Let's suppose that a billion people tell us their ten favorite movies. That would be the set of examples that the computer can use to discover which movies are common among that group of people. Next, the computer elaborates patterns to explain those examples, such as "People who like horror movies do not like romantic ones, but they do like movies in which the same actors appear". Therefore, if you tell the computer that you like The Shining of Jack Nicholson, you can deduce if you also like romantic comedy. We understand it or almost. However, how does this translate into practice? In practice, the patterns that the machine learns can be very complex and difficult to explain with words. Let's use Google Photos as an example, which allows you to search your photos for pictures of dogs. How does Google do it? Well, first, we use a set of examples of photos labeled "dog" (thanks to the Internet). We also use a set of photos labeled "cat", as well as photos with millions of different labels, but I will not list them all here. Next, the computer looks for patterns of pixels and patterns of colors that help you to find out if it is a cat, a dog or anything else. First, he makes a random estimate of the patterns that might be adequate to identify dogs. Then examine an example of an image of a dog and see if its patterns fit correctly. If you check that a cat is mistakenly called a cat, make some adjustments to the patterns used. Then examine the image of a cat and refine its patterns to try to get the most accurate. This process is repeated about a billion times: it examines an example and, if the pattern is not correct, it changes it to improve the result of it. In the end, the patterns constitute a model of machine learning, as if it were a deep neural network that can (almost) correctly identify dogs, cats, firemen and many other things. That sounds very futuristic. 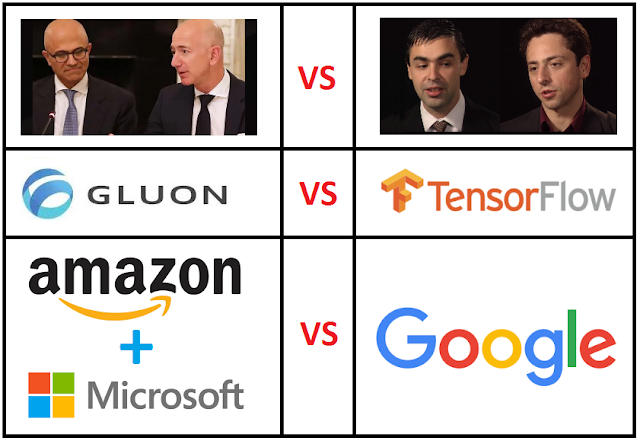 What other Google products currently use machine learning? Google is using machine learning in many new projects, such as Google Translate, which can take a picture of a signage sign or restaurant menu in a language, discover the words and language that appear in the photo, and translate them by magic and in real time to your language. You can also send almost any voice message to Google Translate and speech recognition can be processed by machine learning. Speech recognition technology is used in other Google products, for example, to make voice queries in the Google application or to search for videos more easily on YouTube. Machine learning is the same as artificial intelligence? Although in reality the meaning of these concepts can vary according to people, artificial intelligence (AI) is basically a broad term that refers to software that tries to solve problems that are simple for humans, such as describing what happens in an image. One of the most incredible things that humans do with ease is to learn from the examples. This is what machine learning programs are trying to do: teaching computers how to learn from examples. The best thing is that when we discovered how to develop these software, we can expand this knowledge to handle data very quickly and solve really complex problems such as, for example, play as an expert to the Go, tell the way to all users so Simultaneously, optimize energy consumption nationwide and, my favorite, find the best results in the Google search engine. So, why is Google now giving so much importance to machine learning? Machine learning is not something new, since it goes back to the eighteenth century statistics, but it is true that lately it is booming and this is due to three reasons that I will explain below. The first one is that we need an immense amount of examples to teach computers how to make good predictions, even about things that you and I consider easy (like finding a dog in a photo). With all the activity on the Internet, we now have a broader source of examples that computers can use. For example, there are now millions of pictures of dogs with the "dog" tag on websites around the world and in all languages. But it is not enough to have many examples. You can not simply show a bunch of dog photos to a webcam and expect him to learn everything; the computer needs a learning program. In fact, lately the sector (and also Google) has made important advances in terms of the complexity and power that these learning programs can have. However, our programs are still not perfect and computers are still not very intelligent, so we have to see many examples numerous times to change the digital controls and get accurate results. Although this requires enormous processing capacity, new advances in software and hardware have also made this possible. Is there something that computers can not do today but what can they do in the future thanks to machine learning? Until now, the voice recognition tried to detect only ten different digits when you said your credit card number by phone. Voice recognition has achieved incredible advances in the last five years with the use of machine learning, and now we can use it to search Google and every time more quickly. I think machine learning can also help us improve our appearance. I do not know about you, but I hate to try on clothes. If I find a jeans brand that suits me, I buy five. Well, machine learning can convert examples of brands that we feel good into recommendations of other clothes that could equally well fit. This is out of Google's reach, but I hope someone is investigating it. What will machine learning be like in ten years? The sector is currently working to achieve faster learning from fewer examples. One way to address this (something that Google is emphasizing) is to provide our machines with more common sense, what in the sector is called "regularization". What is common sense for a machine? In general, it means that if an example changes only a little, the machine should not omit it. That is, a picture of a dog wearing a cowboy hat is still a dog. We impose this kind of common sense when we get that machine learning is able to obviate small and insignificant changes, like a cowboy hat. Although this seems easy to say, if we make a mistake, it is possible that a machine does not detect important changes well. It is about reaching a balance and we are still working to achieve it. For you, what is the most exciting thing about machine learning? What motivates you to work with him? I grew up in Seattle, where we learned a lot about the first explorers in the Western United States, such as Lewis and Clark. Machine learning has that same spirit of exploration, since we discover things for the first time and try to trace a path towards a great future. If you could put a slogan to Google's machine learning, what would it be? If you do not get it first, try a billion times more. Gluon is a new open source deep learning interface launched by AWS and Microsoft(12 Oct 2017) which allows developers to more easily and quickly build machine learning models, without compromising performance. Gluon can be used with either Apache MXNet or Microsoft Cognitive Toolkit, and will be supported in all Azure services, tools and infrastructure. Gluon offers an easy-to-use interface for developers, highly-scalable training, and efficient model evaluation–all without sacrificing flexibility for more experienced researchers. For companies, data scientists and developers Gluon offers simplicity without compromise through high-level APIs and pre-build/modular building blocks, and more accessible deep learning. Gluon makes it easy for developers to learn, define, debug and then iterate or maintain deep neural networks, allowing developers to build and train their networks quickly. Gluon introduces four key innovations. Simple, Easy-to-Understand Code: Gluon is a more concise, easy-to-understand programming interface compared to other offerings, and that it gives developers a chance to quickly prototype and experiment with neural network models without sacrificing performance. Gluon offers a full set of plug-and-play neural network building blocks, including predefined layers, optimizers, and initializers. TensorFlow is an open source software library for numerical computation using data flow graphs. It was developed by the Google Brain team for internal Google use. It was released under the Apache 2.0 open source license on November 9, 2015. Nodes in the graph represent mathematical operations, while the graph edges represent the multidimensional data arrays (tensors) communicated between them. The flexible architecture allows you to deploy computation to one or more CPUs or GPUs in a desktop, server, or mobile device with a single API. TensorFlow was originally developed by researchers and engineers working on the Google Brain Team within Google's Machine Intelligence research organization for the purposes of conducting machine learning and deep neural networks research, but the system is general enough to be applicable in a wide variety of other domains as well. Below are the key features of TensorFlow. Flexibility: You need to express your computation as a data flow graph to use TensorFlow. It is a highly flexible system which provides multiple models or multiple versions of the same model can be served simultaneously. The architecture of TensorFlow is highly modular, which means you can use some parts individually or can use all the parts together. Such flexibility facilitates non-automatic migration to new models/versions, A/B testing experimental models, and canarying new models. Portability: TensorFlow has made it possible to play around an idea on your laptop without having any other hardware support. It runs on GPUs, CPUs, desktops, servers, and mobile computing platforms. You can deploy a trained model on your mobile as a part of your product, and that’s how it serves as a true portability feature. Auto Differentiation: It has automatic differentiation capabilities which benefits gradient based machine learning algorithms. You can define the computational architecture of your predictive model, combine it with your objective function and add data to it- TensorFlow manages derivatives computing processes automatically. You can compute the derivatives of some values with respect to some other values results in graph extension and you can see exactly what’s happening. Performance: TensorFlow allows you to make the most of your available hardware with its advanced support for threads, asynchronous computation, and queues. Just assign compute elements of your TensorFlow graph to different devices and let it manage the copies itself. It also facilitates you with the language options to execute your computational graph. TensorFlow iPython notebook helps in keeping codes, notes, and visualization in a logically grouped and interactive style. Research and Production: It can be used to train and serve models in live mode to real customers. To put it simply, rewriting codes is not required and the industrial researchers can apply their ideas to products faster. Also, academic researchers can share codes directly with greater reproducibility. In this way it helps to carry out research and production processes faster. PyTorch is a relatively new deep learning framework that is fast becoming popular among researchers. Like Chainer, PyTorch supports dynamic computation graphs, a feature that makes it attractive to researchers and engineers who work with text and time-series. We will come with more interview questions soon. As you know now technology moving towards Machine learning/Deep learning so if you are making career in it then your future is bright, you will got very high package :). Here we come with Google TensorFlow interview questions, our previous article "100 Machine learning Interview Q-A" was become very famous so must go through it. Future of TensorFlow: TensorFlow future bright , TensorFlow is growing fast, especially when someone like Google create such thing, its likely to be big, one of the reason is because they are using in their own products which encourages others to use it also. So lets start with TensorFlow Interview Questions. TensorFlow is a Python library for fast numerical computing created and released by Google. It is a foundation library that can be used to create Deep Learning models directly or by using wrapper libraries that simplify the process built on top of TensorFlow. Unlike other numerical libraries intended for use in Deep Learning like Theano, TensorFlow was designed for use both in research and development and in production systems. What is necessary to evaluate any formulas in Tensorflow? How do you sum the whole array into one number in tensorflow? What programming language is it for? The API is nominally for the Python programming language, although there is access to the underlying C++ API. What do you understand by Tensor and Flow in case of Tensorflow? A graph that defines operations like + to do with data (tensors). Nodes perform computation and have zero or more inputs and outputs. Data that moves between nodes are known as tensors, which are multi-dimensional arrays of real values. The graph defines the flow of data, branching, looping and updates to state. Special edges can be used to synchronize behavior within the graph, for example waiting for computation on a number of inputs to complete. What is the purpose of tf.Session? It provides a class for running Tensorflow objects. 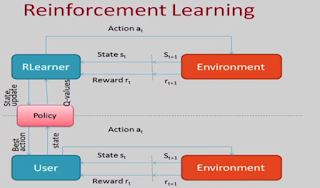 It encapsulates the environment in which Operation objects are executed and Tensor objects are evaluated. What happens when you create a variable? You pass a tensor into the Variable() constructor. You must specify the shape of the tensor which becomes the shape of the variable. Variables generally have fixed shape. When you will use tf.get_variable()? Sometimes you have large sets of variables in complex models that you want to all initialize in the same place. What does the softmax cross entropy function do? Measures the probability error in discrete classification tasks in which the classes are mutually exclusive (each entry is in exactly one class). Below are the email I got from TCS. To identify Original/Fake offer Latter. Good news in this post is that we have covered every step with prient screen for apply in TCS off campus drive process. We have also shown instruction of every registration and application pages, marked by TCS for 2018. So read this post till end you will enjoy step by step registration and application form process. if you have already registed/applied then you can see and read latest form for application for 2018 and check that is this different from your application form or not. This is the latest application form look in nextstep.tcs.com. Minimum aggregate (aggregate of all subjects in all semesters) marks of 60% or above in the first attempt in each of your Class Xth, Class XIIth, Diploma (if applicable), Graduation and Post-Graduation examination which includes successful completion of your final year/semester examination without any pending arrears/back logs during the entire course duration. Please note that all subjects mentioned on the mark sheets should be taken into consideration while calculating the aggregate marks. For example, best of 5/6 subjects for calculating the aggregate is not acceptable as per the TCS Eligibility Criteria. First attempt implies that you should pass the final year/semester examination (Xth, XIIh, Diploma, Graduation and Post-Graduation as applicable) with minimum aggregate (aggregate of all subjects in all semesters) marks of 60% and above within the first attempt itself. For example, if you have secured 58.9 % (aggregate of all subjects) in your Standard XIIth examination and you have taken an improvement exam in the next attempt securing 62 %, you are not eligible as per the TCS Eligibility Criteria, as improvement exam is not considered as first attempt. Completion of all courses Class Xth onwards within the stipulated time as specified by your University/Institute without any extended education. It is mandatory to declare the gaps/arrears/backlogs, if any, during your academic and work experience. Break in education should not be due to extended education. Any break in education should not exceed 24 months. Only Full time courses will be considered. You should be minimum 18 years of age to be eligible to apply for the TCS Selection process. Candidates who have applied to TCS and have not been successful in clearing the TCSL selection process are not eligible to re-apply to TCS within six months from the date on which they had attended such selection test and/or interview. You are not eligible to appear for the TCS selection process within six months of the previous unsuccessful attempt. 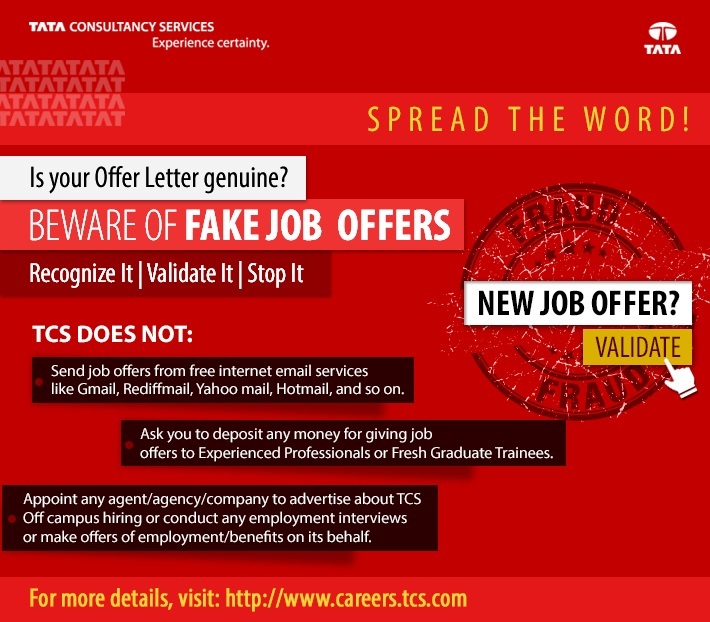 How do a Fresher can apply for an entry level position in TCS? Now select category as IT. You will be redirected to the TCS Registration form. Now fill it and click on submit button. After submit below popup will appear. Now verify your mobile no and email address. Now below window will appear, So note-down your reference no. And click Continue. Now password prompt will appear. Now be happy you have registered and redirected to home page will login. Below is the welcome message from TCS, read it carefully. "Welcome aboard on TCS NextStep portal! TCS NextStep Portal is the first step connecting you with TCS, Asia's leading IT services Company. A single platform that addresses all your needs interactively and simplifies the communication process, this Portal will help you in your transition from being a student on campus to exploring a dynamic career path with TCS. From keeping you updated on TCS initiatives to answering your queries and helping you explore a world of opportunities, TCS NextStep helps bridge the distance in your journey to becoming a TCSer. So, go ahead! Explore opportunities. Experience Certainty." TILL NOW YOU HAVE REGISTERED. Now application page will appear with Important information, Before click "Start filling the Form" button must read it. Below are the instruction. And click "Start filling the Form"
"1). The form is divided into following four sections. It is mandatory to enter details in all four sections. 2). Fields marked with "*" in these sections are mandatory. 3). To save the details and navigate to the next field/screen, click 'Save and Continue'. 4). To submit the form, click 'Submit Application Form' in 'Form Preview and Declaration' section. 5). Please review the details properly before submitting the form to avoid errors.You can use the Application Form preview feature after filling in all the mandatory fields. In case you wish to edit any details, you can navigate to the relevant section and edit the same. 6). Click 'Save' after editing any details in the form. To submit the form with the updated details, click 'Submit Application Form'. Please note that if you do not submit the form after editing any details, the details will not be saved." Now four tab will appear, fill detail in all four tab, below are the screen-shots of all tabs. "Marks/CGPA Obtained" denotes Total Marks/CGPA secured by you in ALL* subjects in all semesters in the first attempt. "Total Marks/CGPA" denotes total of maximum marks in ALL* subjects in all semesters in the first attempt. *ALL implies that all subjects mentioned on the marksheet (including languages, optional subjects etc) should be taken into consideration for calculating the obtained/total marks/CGPA. Marks/CGPA obtained during the normal duration of the course only will be considered to decide on the eligibility. Verify your marks after entering, as it is a part of the selection criteria. Please mention only your XII duration in XII Grade details . Pls do not add the XI duration in the same. Below are the TCS Terms and Conditions which you can read before click "Submit Application Form"
In connection with my application to render services to Tata Consultancy Services Ltd (the "Company"), I hereby agree as follows: I certify that the information furnished in this form as well as in all other forms filled-in by me in conjunction with my traineeship is factually correct and subject to verification by TCS including Reference Check and Background Verification. I accept that an appointment given to me on this basis can be revoked and/ or terminated without any notice at any time in future if any information has been found to be false, misleading, deliberately omitted/ suppressed. As a condition of Company's consideration of my application for traineeship with the Company, I hereby give my consent to the Company to investigate or cause to be investigated through any third parties my personal, educational and pre or post joining history. I understand that the background investigation will include, but not be limited to, verification of all information given by me to the Company. I confirm that the Company is entitled to share such investigation report with its clients to the extent necessary in connection with the Services, which I may be required to provide to such clients. I confirm and undertake that the Company shall incur no liability or obligation of any nature whatsoever resulting from such investigation or sharing of the investigation results as above. I certify that I am at present in sound mental and physical condition to undertake employment with TCS. I also declare that there is no criminal case filed against me or pending against me in any Court of law in India or abroad and no restrictions are placed on my travelling anywhere in India or abroad for the purpose of business of the company. What do you understand by Adapative query processing launched in SQL Server 2017? SQL Server 2017 and Azure SQL Database introduce a new generation of query processing improvements that will adapt optimization strategies to your application workload’s runtime conditions. Name all three Adaptive query processing features? Batch mode memory grant feedback. Write T-SQL statement to enable adaptive query processing? Name the new string function which is very useful to generate csv file from a table? CONCAT_WS is new function launched in SQL Server 2017 its takes a variable number of arguments and concatenates them into a single string using the first argument as separator. It requires a separator and a minimum of two arguments. It is very helpful in generate comma or pipe seprated csv file content. What do you understand by TRANSLATE in SQL Sever 2017? TRANSLATE is a new string function launched in SQL Server 2017, It is very helpful to replace multiple character with multiple character respectively. It will return an error if characters and translations have different lengths. In below example we are using traditional REPLACE function, and for same task we will use TRANSLATE function lets see the difference. What is the use of new TRIM function? It Removes the space character char(32) or other specified characters from the start or end of a string. Is SQL Server 2017 support Python?